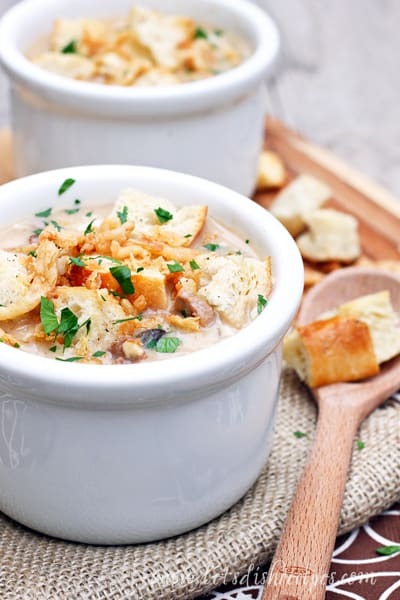 PHILLY CHEESE STEAK SOUP (SLOW COOKER) — Sirloin steak, mushrooms, onions and plenty of cheese, simmered in the slow cooker, then topped with toasted bread and French fried onions. 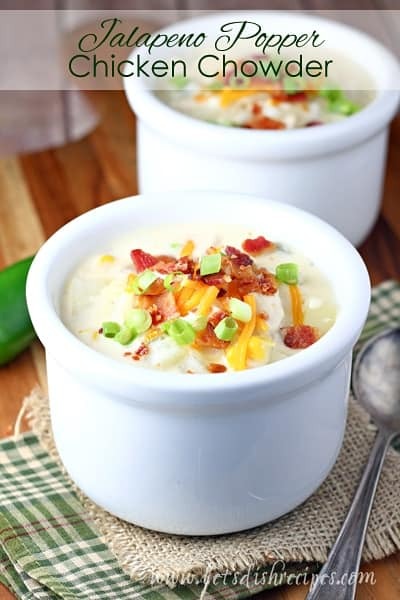 It’s my favorite time of year–soup weather! 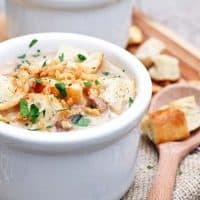 And when it comes to preparing hearty fall soups like this Philly Cheese Steak Soup for my family, my slow cooker is my favorite kitchen helper. I can’t tell you how many slow cookers I’ve owned over the years, but my Hamilton Beach Set ‘n Forget® 6 Quart Programmable Slow Cooker is by far the best! It has absolutely everything I’ve ever wanted in a slow cooker. The removable crock is a must, in my opinion, for easy clean up. Like most slow cookers, the Hamilton Beach version allows you to choose a high or low heat setting, but you can also use the program mode to cook your food for a certain amount of time–perfect if your meal will be done before you get home. The slow cooker just switches to the warm setting until you arrive. There’s even a meat probe for cooking meat to the proper internal temperature. It seems like things always get crazy right before dinner time, at least at our house. That’s when I’m out picking kids up from after-school activities or soccer practice, and then I’m tempted to just pick up some fast food and call it a night. But with my Hamilton Beach slow cooker, I can get all my dinner prep work done ahead of time, and my family can enjoy a home cooked meal together at the end of the day. 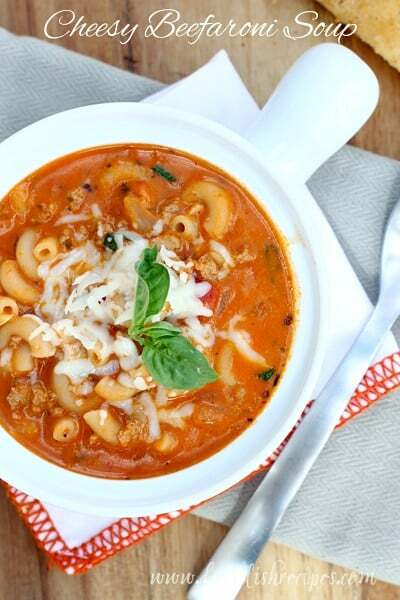 Be sure to save this Slow Cooker Philly Cheese Steak Soup recipe to your favorite Pinterest board for later. Sirloin steak, mushrooms, onions and plenty of cheese, simmered in the slow cooker, then topped with toasted bread and French fried onions. Heat 2 tablespoons olive olive in a large skillet over medium high heat. Add the onions and garlic and cook until soft, 3-5 minutes. Transfer to a lightly greased slow cooker. Add cubed steak to skillet and sear on all sides until meat is dark golden brown, adding more oil if needed. Add to slow cooker with onions and garlic. Whisk together beef broth, flour, and Worcestershire sauce. Add to slow cooker along with mushrooms and cayenne pepper. Cover and cook on low for 6-8 hours. One hour before serving, turn slow cooker to high heat. Add the American and cream cheese. Stir every 10-15 minutes as the cheese melts. Preheat oven to 400 degrees. Toss cubed bread with 1-2 tablespoons olive oil. Season with salt and pepper to taste. Toast for 7-8 minutes, or until bread is golden and crispy. Ladle soup into bowls. 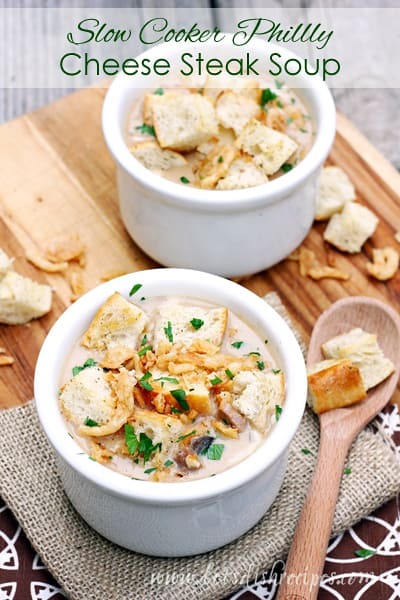 If desired, top with shredded mozzarella cheese, toasted bread cubes and French fried onions. I LOVE that this is travel friendly!! I had transported one once and the lid fell off in the car and oh what a mess. And this soup?? Amazing! Looks like a great crockpot. I think this sounds amazing. I’ve got to make it! This looks amazing! There is nothing better than coming home to a delicious meal ready to enjoy. 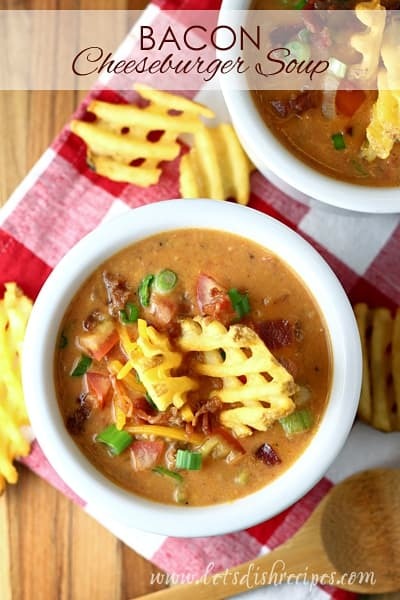 Looks amazing can you make this ahead of time and freeze it for a later date? I’ve never tried freezing it. I’m not sure how well it would work with all of the cheese, but if you give it a try, I’d love to know how it turns out.